Today’s ride reminded me all too much of that Divinyls’ classic, Pleasure and Pain. Why? Because that’s exactly what it was; a combination of riding through luxuriant forest on the quietest of roads and coarse white rock tracks that became impenetrable to nothing less than German Panzers. A mere 76 kilometres along a good road can take you little more than three hours, even an old guy like me, but throw in a wrong turn, an inadequate map, a not-so-good sense of direction, a long ascent, insufficient road signs and, worst of all, an unnavigable road, and you’re in for a long day no matter how far the distance. 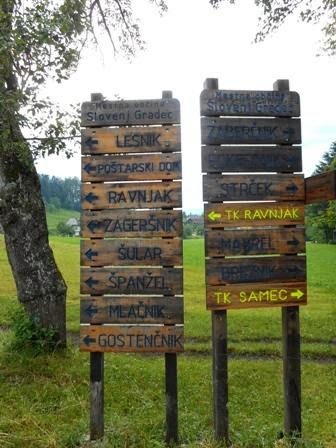 From our accommodation at Kamniška Bistrica, the road led back downhill towards Stahovica. A left-hand turn onto the 225 and you’re soon climbing. 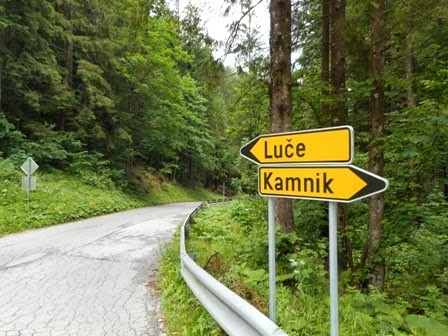 After meeting up with a Slovenian cyclist - a young guy named Yuri who had climbed many of the mountains in the Italian and Austrian Alps – I headed towards Luče, a quiet small village at the bottom of a long and satisfying descent through mountain forest. Here, Roz and I stopped for a brief coffee before heading towards Solčava, a small village of little more than 200 inhabitants, close to the Austrian border. High in an Alpine region seemingly bereft of cycling notoriety I had the road all to myself. Rather than the lycra-clad variety, this is a world of four-wheel forestry trucks, steelworkers from Ravne na Koroškem and miners from Mežica, who for centuries have excavated millions of tons of ore to produce lead and zinc. Another town I passed en-route was Črna na Koroškem. Also close to the border and having a long and profitable ironworking history, it was the largest and busiest place I’d seen all day. 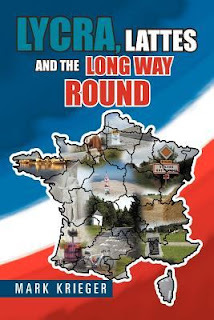 Nevertheless, with a population of not much more than two thousand, it was easy to navigate my way in and out of town along its one main road. Perhaps being a Friday afternoon and only four kilometres from the border, I was soon accompanied by more traffic than I’d seen along more than 200 kilometres of Slovenian road to date. Despite the unwanted company I had only 30 kilometres to travel, not much more than an hour’s riding-in theory anyway. But finding our accommodation at Guest House Ravnjak, in the somewhat remote village of Sele, was like trying to find a veritable needle in a haystack. And there were plenty of them along the way to pick from. 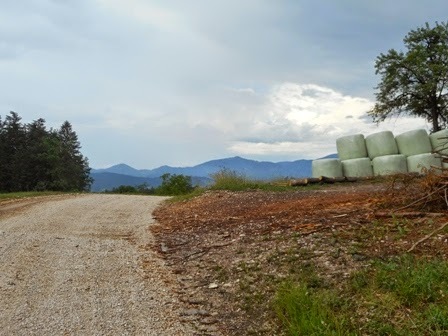 Eventually, after seeking directions from an assortment of passing motorists, I arrived, not at my destination, but the six kilometres of gravel road that would lead me there. Riding uphill on 23mm tyres is a difficult prospect, but on gravel it is decidedly worse. The only sign of bitumen was out the front of each of the houses I passed. Remote countryside and the houses that inhabit them being as beautiful as they are, tend to be a few hundred metres apart. That’s not much bitumen along the way when you think about it. But all things reach their conclusion, even the bad things. On finally arriving very late and very tired at our accommodation - a beautiful home, with the backdrop a high forest-covered mountain - our sympathetic host offered to cook us dinner. 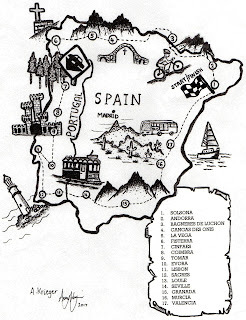 Obviously aware that the prospect of returning along the same road-the only choice available-was not a choice we were looking forward to, we at least finished what had been a long day, enjoying a hearty three-course meal and local red wine. Not the easiest of cycling days, tomorrow would have to be better. And it was! 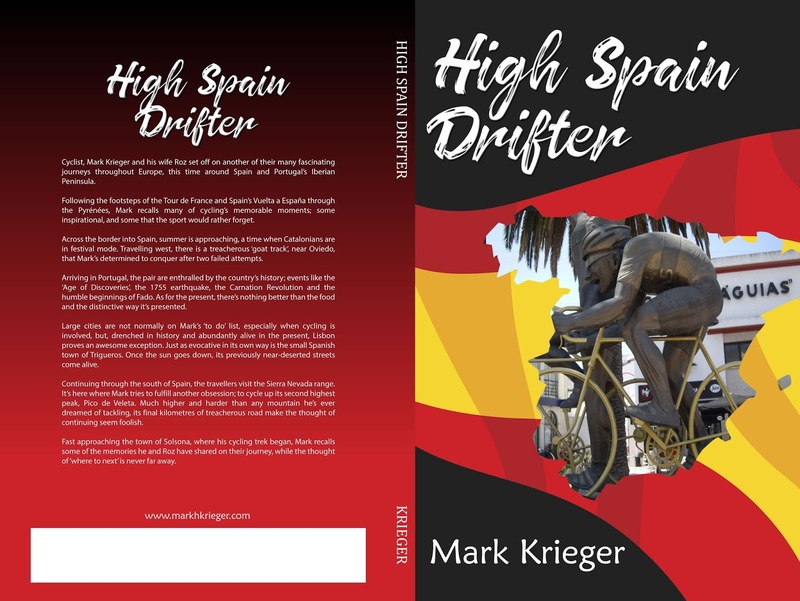 ‘High Spain Drifter’ is available on Amazon , Barnes and Noble, Booktopia and other online bookstores.